If you’re looking for a jogging stroller, while wishing it would do its job just fine in everyday life, the Bumbleride Speed Jogging Stroller is definitely a model worth checking. When it comes to running, its unique steering system guarantees great maneuverability. It’s worth noting that even though it’s not a heavy one (after all – it’s a jogging stroller and it shouldn’t be), it’s really durable thanks to its aluminium frame. We should do our best to keep our planet clean for the future generations, so I really like the fact that the Bumbleride Jogging Stroller was made with environment-friendly materials, but retained a high level of comfort for the little one, which is not such a common thing. 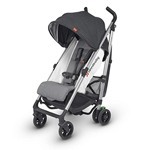 Even though it’s a light-weight running stroller, it packs some really useful features. 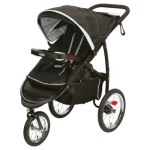 Jogging stroller 33″L x 19″W x 10.5″H One of the best jogging strollers I’ve ever used. Bumbleride Speed guarantees great maneuverability. It comes with an all-wheel suspension and air-filled tires – known to provide the best riding experience. Setup? Easy. All you have to do is push the stroller’s handle bar and it starts moving. This Bumbleride Stroller is incredibly compact and portable, so it will easily fit in a small car trunk and won’t take much storage space, which is especially important for those who live in a small flat. Check my review of the Bumbleride Jogging Stroller and see for yourself if may be a stroller of choice for you. Who is Bumbleride Jogging Stroller Product designed for? 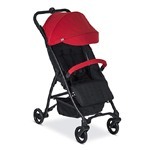 I must admit I really like the quality of Bumbleride Speed Jogging Stroller. It is suitable for parents of all kinds. It is great for parents who have to carry their child around for majority of time. Bumbleride also provides a nice level of protection during bad weather. For those who need a durable stroller with plenty of storage, this one will make the best possible solution. 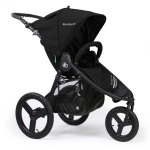 Bumbleride Speed Jogging Stroller was pretty much made for those who love to run, jog and walk. It’s really easy to get used to the Bumbleride. Pushing the stroller along is made easy by its rubber-gripped handle. The handle bar can be adjusted to the parent’s height and as I always repeat, comfort is important – both for the parent and the kid alike. Which means you don’t have to worry about backache anymore. 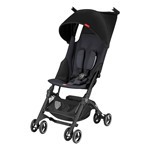 The components of the Bumbleride Jogging Stroller seem to be really durable. The stroller’s outlook is good as well, while at the same time providing comfort and safety for your toddler. Even if you need to go outside when it’s hot, it provides a large canopy and a single-lever recline, and its back rest provides good air flow. Bumbleride Jogging Stroller features a comfy seat to make your kid happy. It is nicely padded and the straps are also padded – altogether providing a smile on your kids face. Its softness will surely make napping easier. 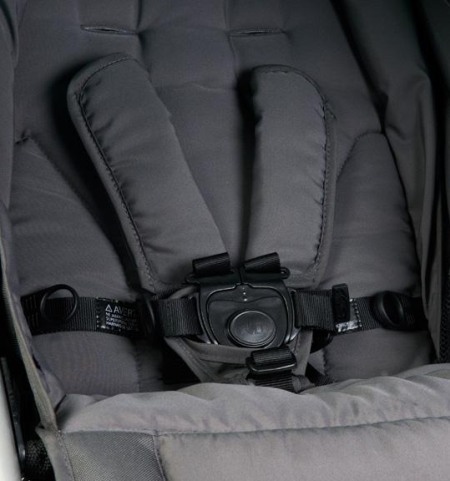 The five-point adjustable harness will keep your child secure and in place, even while going through some rougher terrain. The seat is 37 cm wide and 23 cm long (14.5 inches wide and 9 inches long). When choosing a new stroller for your child, you should check the quality of the stroller’s canopy – you want it to serve you and your kid as long as possible. A perfect canopy is capable of keeping your baby calm and quiet by providing good air-ventilation on hot summer days. I have to say the canopy of the Bumbleride Jogging Stroller is really hiqh-quality and spacey, so it won’t be a problem when your kid grows up. 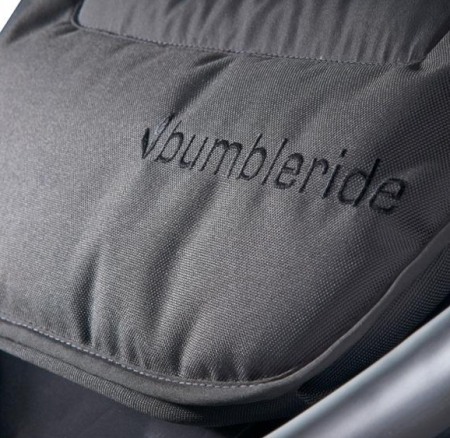 Interested in purchasing Bumbleride Speed? Check how much it costs on Amazon and see if there are any discounts available. The stroller’s fabric is durable and long-lasting. Its huge canopy will protect your baby from ultraviolet rays and sun heat. The canopy is +45 UPF/SPF and has a huge magnetic viewing window, as well as portable back cabinet and pop-out enlargement. While being really big, it also provides great air-ventilation and comfort for your little one during hot summer days. The Bumbleride Speed Jogging Stroller comes with an adjustable handle bar that can go from 35 to 46 inches, which makes it perfect for short and tall parents alike. The handle bar is covered with easy to clean, environmentally-friendly thermoplastic rubber. 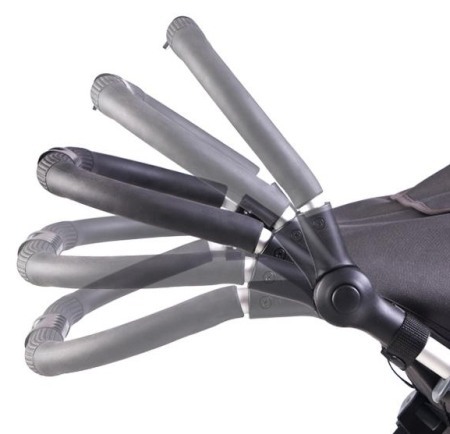 It has a nice grip in its middle that allows you to steer with one hand, making it very convenient when you have to use your other hand for something else. 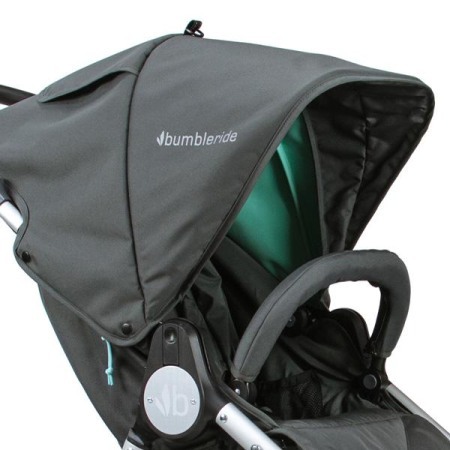 The Bumbleride Speed Jogging Stroller also comes with a runaway strap. If you’re concerned about the stroller’s storage capacity (jogging strollers are usually not the best in this) – don’t be. 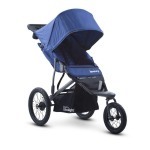 The Bumbleride Jogging Stroller comes with a huge basket located under the seat. It can store most of the stuff your baby is going to need. This basket can easily store a bag of diapers, toys, snacks and many more. Its weight capacity is up to ten pounds. The seat also comes with a zipper compartment located right behind it. It can be used by the parents to store all of their essentials like phone, wallet, keys for easy accessibility. 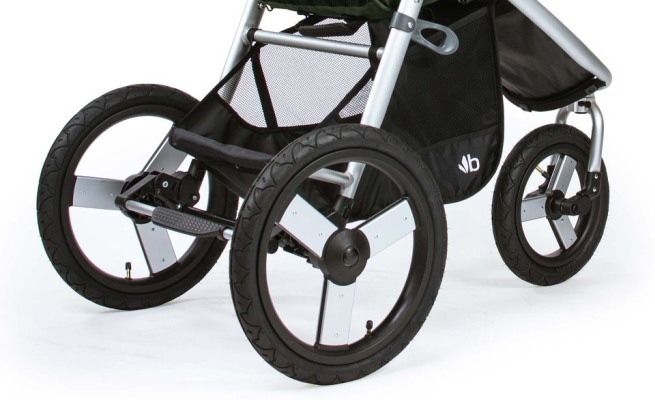 The wheels of the Bumbleride Jogging Strolle are well-built, with bearings that make pushing and walking as smooth as possible, making the ride a pleasure. It comes with an all-wheel suspension and air-filled tires – known to provide the best riding experience. Same as many jogging strollers, we have three-wheel system here. Bumbleride Stroller can be easily pushed over surfaces of all kind, just bear in mind – it’s not actually an all-terrain stroller. The front wheels can be locked. The swiveling wheels are locked at 30 degrees when jogging and turn at 360 degrees when walking. Each of the wheels comes with core shock absorbents, which provides your baby with a shake-free ride even while jogging. 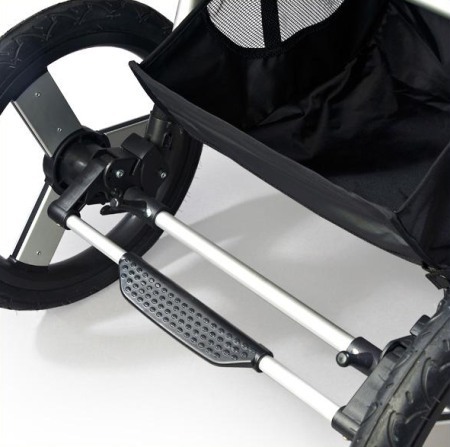 The front swiveling wheels can be easily locked, which makes the stroller very easy to push. 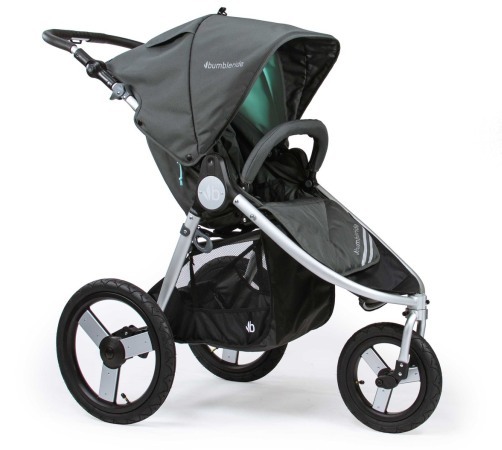 The Bumbleride Jogging Stroller comes with linked brakes on each back wheel and the brake is quite easy to use. The back wheels come at 16 inch (41 cm) and the front one at 12 inch (30 cm). 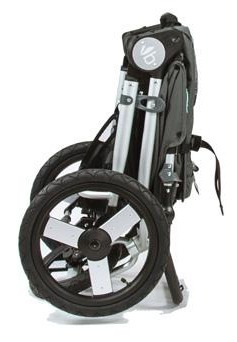 The Bumbleride Speed Jogger Stroller brake is a single-action foot brake linking the back wheels. I wish it would have a hand-brake, but unfortunately, you won’t find one here. At the same time, this brake is not a flip-flop friendly one. Still, you can get used to it in time and overall – it does it job the way it should. The fabrics in Speed were made of hard, durable materials that can be easily cleaned. All you have to do is spot-treat the seat fabric, you can also easily unzip the bumper bar’s fabric for washing. Do you wonder where you’re going to store the stroller away at home? Do you like to travel and often bring your baby along? In that case, the Bumbleride is exactly what you need. You can fold this stroller with just one hand in an easy process. The stroller is pretty light-weight. You can easily carry the stroller in a stroller bag or even on your own arm. It only takes few seconds. You can hold your baby with one hand while easily folding the stroller with the other, thanks to the one-hand folding facility it has. Once the stroller is folded, it can be put in your car’s trunk or even brought on a plane. 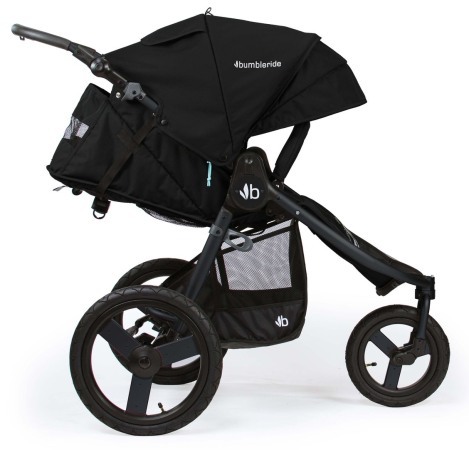 The Bumbleride Speed Jogging Stroller is incredibly easy and comfortable to maneuver. Its suspended air-filled wheels make pushing it around both smooth and rough terrains easy. What makes the Bumbleride Speed Jogging Stroller stand out is its three speed steering feature, great feature I have to say. 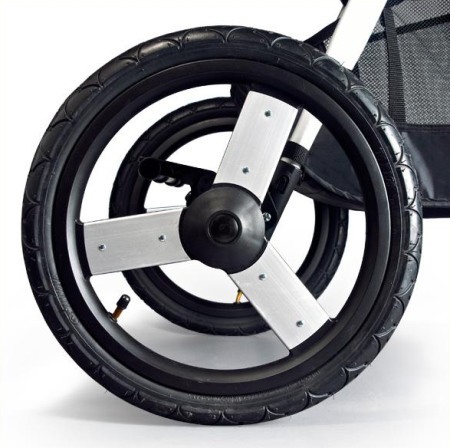 The front wheel can be locked completely when running so you can push it straight, locked partially when jogging so you can swivel it partially, or unlocked completely when walking and taking sharp turns so you can swivel it freely. Overall – great maneuverability in any kind of situation. Thumbs up. The manufacturer of the Bumbleride Speed Jogging Stroller claims it was designed specifically with ease of use in mind. I can agree with that. 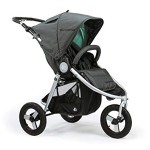 The handle bar is adjustable and the stroller is easy to push with one hand. It has a huge storage space as well as convenient storage pockets on the seat’s back – it can easily store snacks or water bottles, adding more to usability. And again – the three speed steering system makes it suitable to any kind of activity. Many people wonder what are the differences between the two top strollers from Bumbleride. I’m talking about Bumbleride Indie and Speed, of course. Both are obviously ideal for running, but the first one will be more useful in everyday use. We will be able to mount the bassinet in it or attach a car seat to it. Bumbleride Speed does not have these options, because it is a typical jogging stroller. It has larger rear wheels, making running even more enjoyable. 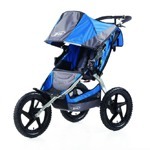 Below are the main differences between these two jogging strollers. Infant Compatible Not compatible with any bassinet or infant car seat carrier. It can be converted into a bassinet-style environment for your baby.